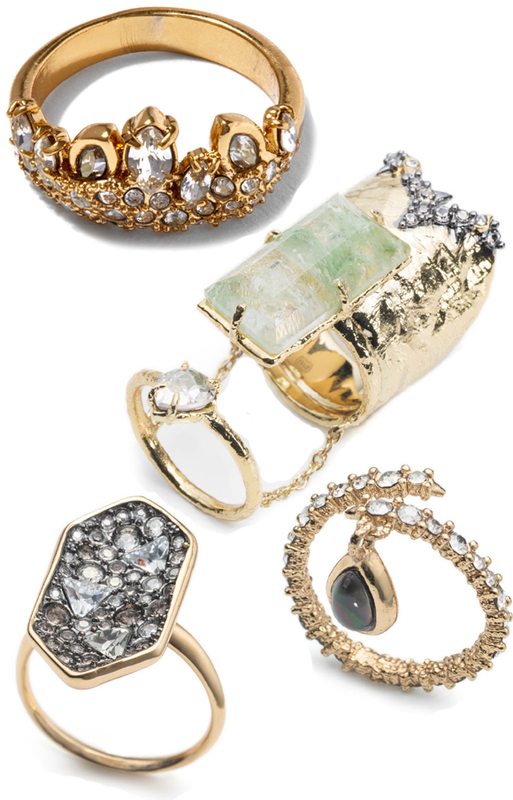 New York-based jewellery designer Alexis Bittar is perhaps best known for his Luctite bangles, but a quick browse of his website and it was the collection of jewel encrusted rings that caught my eye! Comprising goldtone, ruthenium, crackle glass, crystal, black mother of pearl - all sorts of beautiful materials - the rings have a somewhat raw, natural quality to them that I'm drawn to. I loved this post, you have friends, be happy and still enjoy some alone time!